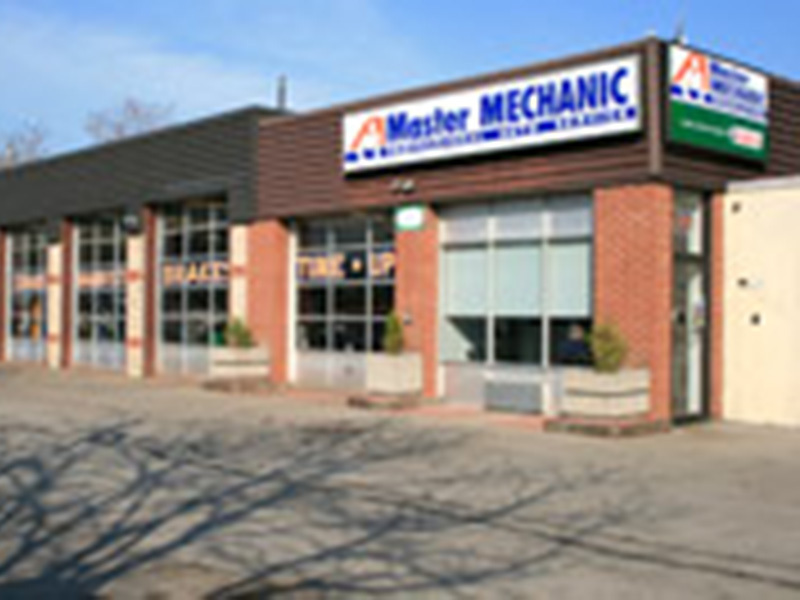 It is our pleasure to introduce you to Master Mechanic Brampton South. We hope that you can find all the information you need to familiarize yourself with who we are, what we do and how you can find us. We promise to do our utmost to deliver our professional service in a very personalized manner and we thank you for wanting to learn more about us. Our Master Mechanic Brampton South store is located on Hurontario Street, surrounded by many stores and restaurants so you can get your car fixed while running some errands. At Master Mechanic Brampton South we want to make sure that you leave knowing what needs to be done to your car. We are here to provide solid advice so you have the knowledge to make a decision. Our Master Mechanic Brampton South store is independently owned and operated which means that we are providing a personalized service to our customers. We strive to be the only auto repair and maintenance choice for each of our clients by creating long term relationships which have been earned through consistent delivery of outstanding service quality in an environment which promotes trust, fairness and respect. It is this dedication that differentiates us from our competitors as we continually strive to deliver an outstanding customer experience to each one of our satisfied customers. "Reymando E Great service, friendly staff and the most important, they listen. When it comes to vehicles on how it drives, how it performs, the mechanic should always listen to the customer first. This shop is big enough for 4 vehicles and equip with the latest technology for alignment. I will be back again." "Chris Walker-Smith Moe was my daughter's mechanic at the Brampton location. He was very nice!! Explained everything to her, and to me as well. Worked with us on the repairs, we felt like we were well taken care of. Didn't feel taken advantage of at all [...] Would recommend this shop! " "I was driving down Hurontario Street when I started having car trouble. I pulled in and asked them to have a look. Turns out I had run over a bolt that had impaled itself in my rear tire. There customer service was great and they got my tire all fixed up ..."
"I was driving down Hurontario Street when I started having car trouble. I pulled in and asked them to have a look. Turns out I had run over a bolt that had impaled itself in my rear tire. There customer service was great and they got my tire all fixed up and I was back on the road in about 40 minutes. I would definitely recommend them." "Moe was my daughter's mechanic at the Brampton location. He was very nice!! Explained everything to her, and to me as well. Worked with us on the repairs, we felt like we were well taken care of. Didn't feel taken advantage of at all. Great job! Things were done before the estimated time. Was great with her and I both. Brakes fixed! All is good. 5 Stars Moe!! Great job. Would recommend this shop! Thanks!! Chris"
"Moe was my daughter's mechanic at the Brampton location. He was very nice!! Explained everything to her, and to me as well. Worked with us on the repairs, we felt like we were well taken care of. Didn't feel taken advantage of at all. Great job! Things were done before the estimated time. Was great with her and I both. Brakes fixed! All is good. 5 Stars Moe!! Great job. Would recommend this shop! Thanks!! " "I just have to say the experience I had at master mechanic was amazing these guys saved me a lot of money.I Was just about to buy a certified vehicle and I took it to master mechanic to get a second opinion and it was brought to my attention that the vehicle actually needed almost 1800$ in repairs to get it road worthy. What I really like was these guys took the time and showed me all the parts that needed replacing I really wanna thank them for their honnesty and helping me from not buying this car.These guys will be my mechanic from now and I totally recommend them." "Sincere, friendly automobile repair advise. A good feeling on top of a good repair." "As a first time car buyer I was incredibly nervous about the vehicle I was buying. I just wanted to extend a sincere thank you for your perseverance, diligence, honesty and kindness in your initial work on my new car. Both my Dad and myself are much relieved that you have taken the time and given my new car the “ok”. Thanks again and I look forward to bringing my car to you in the future. " "At Master Mechanic, you talk to the mechanic” is an understatement. Talking to Aggie is like talking to a friend who cares about you and your vehicle. It’s been over 6 years and the feeling is still the same today. Aggie gives you that reassurance that he understands your concerns and fixes the problem the first time. I found Aggie and his staff to be honest, reliable and diligent in their diagnosis of problems associated with our cars. I am really thankful for Aggie and his expertise. Simply put, Master Mechanic Brampton South is the best in this area and the most honest you will find." "Thank you for the attention and care that you and your staff had the time to give me today. My Sunfire hasn’t sounded this great for a while. I’m always nervous when I have to take my car in for service, but I trust you will be honest and the work done is the best. We have already recommended you to one of our neighbours. Keep up the great work!"